Who knew there were so many different ways to draw a simple X? How do you draw an X? It seems like a simple question with a simple answer, right? Actually, it's more like asking if you hear "Laurel" or "Yanny" or whether the dress is black and blue or white and gold when it comes to the internet. 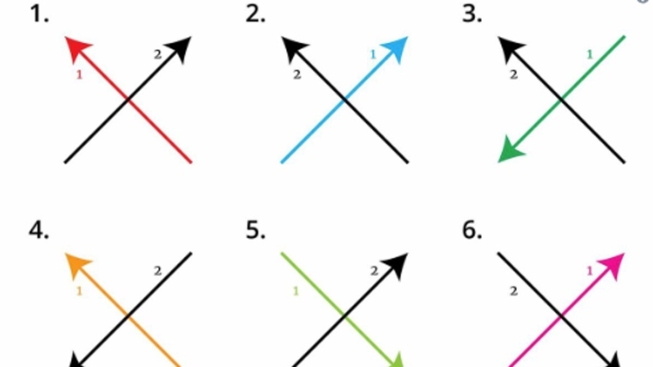 A Twitter user asked the question on Saturday while noting with a graphic that there are actually eight different ways to go about drawing a simple X, which promptly had everyone trying to process the answer. The eight combinations were represented with a different color and arrows for the way and direction of the first and second strokes to make the X, which left everyone comparing to figure out which number they are. People from all over the world then weighed in about how it's done according to them. Then there were those just trying to wrap their head around the whole thing. It turns out where you grew up may have an impact on your X preference. Which number are you? (Hint: The only correct answer is 7).